Collaging has got to be one of the most delightful of all crafts. Your imagination is the only limit. 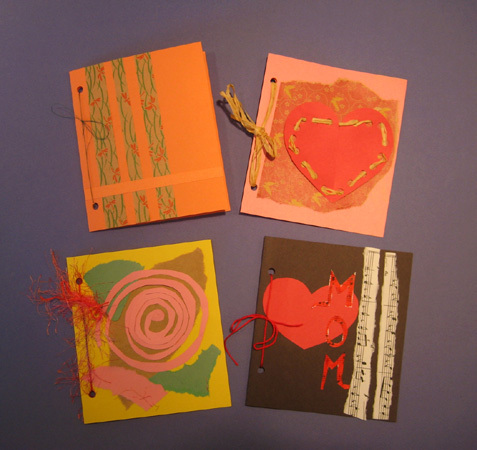 With a variety of materials at hand - wrapping paper, construction paper, brown paper, corrugated cardboard, string, origami paper, photographs, whatever strikes your fancy and some glue, assemble an "art piece" that pleases you. Torn papers are effective. 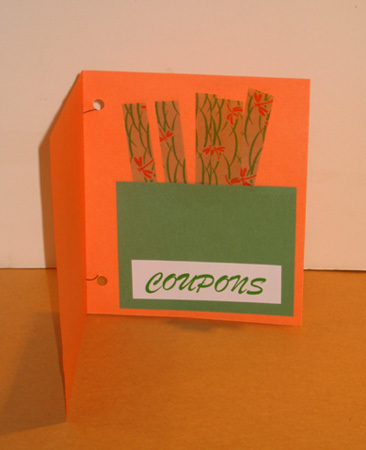 Cover a journal or a photo album with your creation or use it as we did to cover "coupon" books for Mothers Day. For these we made a little pocket inside our collage and filled it with coupons for bed making, dish washing and other household chores to help Mommie.